Gov. Rick Scott, a Navy veteran and son of a veteran, convinced Congress to hold a field hearing to delve further into care being provided at Florida’s VA hospitals. All this came after state regulators spent most of April conducting unannounced visits to Florida’s VA hospitals, and were denied access to their federal records. Gov. Rick Scott at the south Tampa American Legion Post 139 when he announced that Congress will hold a field hearing in Tampa on care at Florida's VA hospitals. A recent VA report found that delayed medical care may have led to the death of three patients and injury of several others within the VA network that includes Florida, south Georgia and the Caribbean. But a VA medical team uncovered a problem during an internal review, investigated and reported it, a VA official said. “We do extensive reviews internally and we welcome external reviews,” said Mary Kay Hollingsworth, communications director for the VISN 8, the Veterans Integrated Service Network that covers Florida. Hollingsworth said the VA’s Principal Deputy Under Secretary for Health, Dr. Robert Jesse, has spoken several times with Florida’s top regulator, Elizabeth Dudek, Secretary of the Agency for Health Care Administration. But that has not been enough to satisfy the governor. Scott, who is running for re-election, held the press conference at a Tampa American Legion hall flanked by several veterans and two members of Congress. “What I know is we’ve been told there are deaths, We’ve been told there are injuries and we’ve been told they won’t allow us to come in and help them. They won’t tell us where it happened why it happened what the corrective action is. That’s wrong. I mean, It’s our tax dollars doing this and it’s our veterans,” Scott said. Scott’s continued barrage against the VA has alarmed one veteran worried about the unintended consequences. “We noticed that the newer generation of veterans are somewhat reluctant to receive care at the VA,” said John Pickens III, a Vietnam veteran, who is a retired VA employee and runs a non-profit financial counseling service for veterans, VeteransPlus. “I don’t want young veterans who are on the fence about receiving care at the VA, I don’t want them, to be influenced by unfair media or political attacks,” Pickens said. The state of Florida has no legal right to those VA documents, but Congress does according to Jay Wolfson, an attorney and distinguished service professor of public health at the University of South Florida. And while Scott's motivations may be political, it not unreasonable for him or anyone else to have a field hearing. “If (the people calling the field hearing) use it not just for political purposes, which it will, but to do genuine fact finding for the purposes of improving care and services and efficiencies, and the use of scarce resources, that is always a good thing,” Wolfson said. Florida Congressman Jeff Miller, chairman of the House Committee on Veterans Affairs, agreed to hold the field hearing at the request of Gov. Scott. Miller has held previous congressional hearings in Washington and said his committee is still waiting on answers and documents. He blames mid-level managers within the VA.
“I think the problem is in the size of the bureaucracy, it’s the second largest agency in the federal government over 330,000 employees. The vast majority of those employees are doing great work,” Miller said. “Veterans will tell you today that the health care that they receive once they get into the system is excellent health care. The House Committee on Veterans Affairs has yet to schedule its field hearing for the Tampa Bay region. A bill that gives expanded voting access to military personnel serving overseas appears to be blocked in the Florida House of Representatives. As Supervisor of Elections for Okaloosa County, home to Eglin Air Force Base and Hurlburt Field, Paul Lux advocated for the bill that expands military voting access. “As we know, some deployed troops have trouble getting access to ballots,” Lux said. 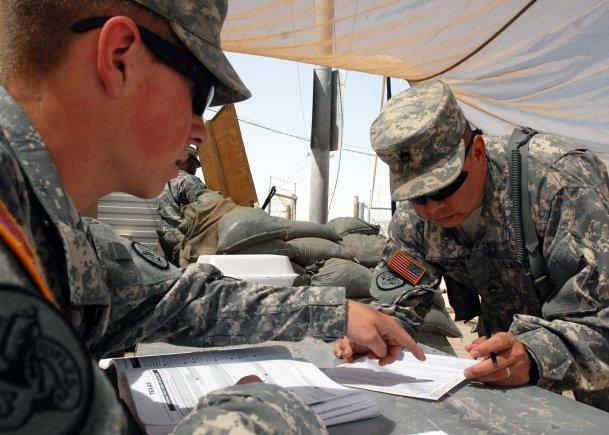 He added an option that more and more deployed military personnel are using is the Federal Write-In Absentee Ballot (FWAB). State health care regulators showed up unannounced for a third time at a federal Veterans Administration Hospital in Florida and asked to view patient records. That visit to James A. Haley VA Hospital in Tampa Wednesday appears to be part of a tug-of-war between Gov. Rick Scott and federal VA hospitals.